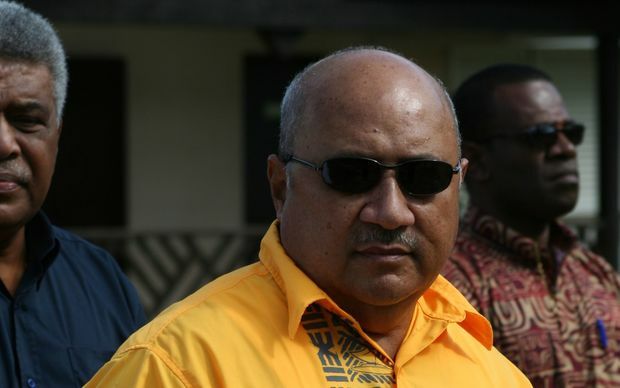 Fiji has hit back at the deputy prime minister of Solomon Islands over criticism about the Melanesian Spearhead Group. Speaking in the Solomons parliament yesterday, Manasseh Sogavare said Fiji should apologise for bringing Indonesia into the MSG. He said Fiji’s prime minister Frank Bainimarama breached MSG procedure by forcing the other four full members to accept Indonesia as part of the sub-regional grouping, whose full members are Papua New Guinea, Fiji, Solomon Islands, Vanuatu and FLNKS Kanaks movement of New Caledonia. Indonesia was admitted to the MSG with observer status in 2011 after Mr Bainimarama assumed the MSG’s rotational chairmanship. “There was no consensus in the admission of Indonesia by member countries,” claimed Mr Sogavarewho wants Indonesian control of West Papua reviewed by the United Nations. In 2015 Indonesia had its status in the group elevated. This remains a complicating factor as the MSG wrestles with the sensitive issue of a West Papuan membership bid. However, in response, Fiji’s Defence Minister Ratu Inoke Kubuabola, who often represents Fiji at MSG summits, denied Mr Sogavare’s claim that the MSG didn’t reach consensus on the issue. “I think he is either suffering from memory loss or trying to play politics with his own constituents,” said Ratu Inoke. Mr Sogavare had chaired the 2015 meeting in Honiara where, according to Ratu Inoke, MSG leaders reached consensus about Indonesia’s status in the group. “I cannot really understand why he is making this statement, trying to put the blame on our prime minister, because all the (MSG) members agreed to admit Indonesia as an associate member,” said the Fiji minister. Following the 2015 summit, Mr Sogavare spoke of how bringing Indonesia into the fold had been polarising for MSG leaders. The United Liberation Movement for West Papua was itself granted observer status in the MSG in 2015, but its application for full membership continues to divide the five full members. At their latest summit in Port Moresby last month, MSG leaders approved new clarifications on guidelines around membership in the group. 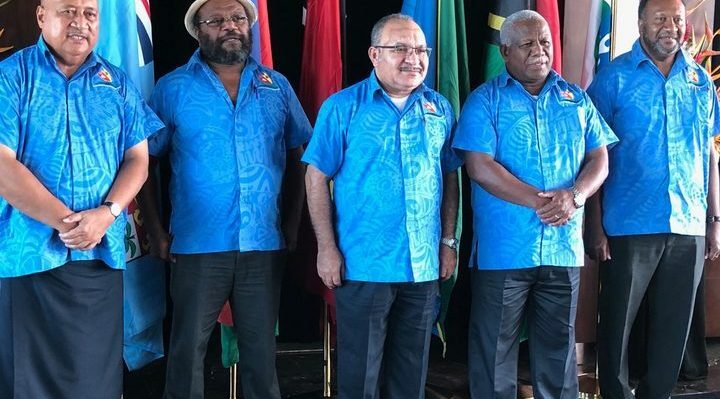 The Liberation Movement’s application has been referred to the MSG secretariat for processing, but Fiji and Papua New Guinea have signalled they remain opposed to the pro-independence West Papuans being given full membership. Of the other full members of the group, Vanuatu and the FLNKS appear firmly in support of the Papuan bid. Solomon Islands had until recently also been strongly in support of giving West Papuans full membership in the MSG. But when Mr Sogavare was ousted as prime minister late last year, and replaced by Rick Hou, that support appeared to dim. The position of PNG and Fiji on the West Papua membership issue had been “really clear”, according to Ratu Inoke. 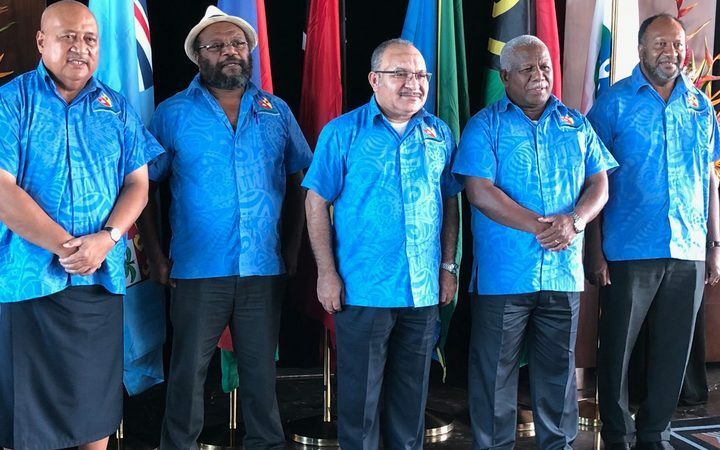 “And the new prime minister of Solomon Islands, in the last meeting in Port Moresby, about three weeks ago, he took a similar position,” he said. Mr Sogavare however remains a strong influence in government, and his stand on the Papua issue appears unlikely to diminish. “Close association of Fiji with Indonesia is sabotaging the work of MSG and their membership in MSG is not political but economic interest,” said Mr Sogavare. 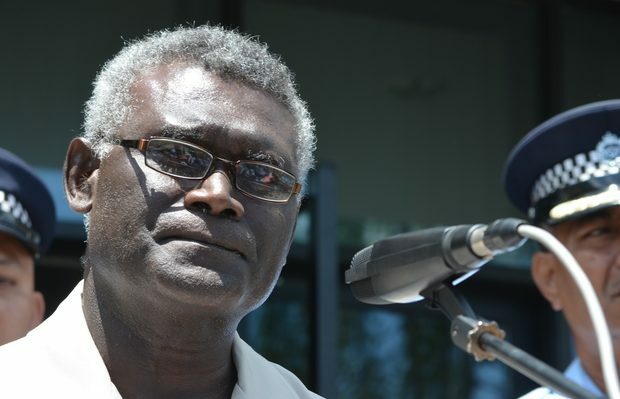 Echoing recent statements by Vanuatu’s government, Mr Sogavare said the MSG’s founding aim of working to decolonise all Melanesian peoples was at risk. 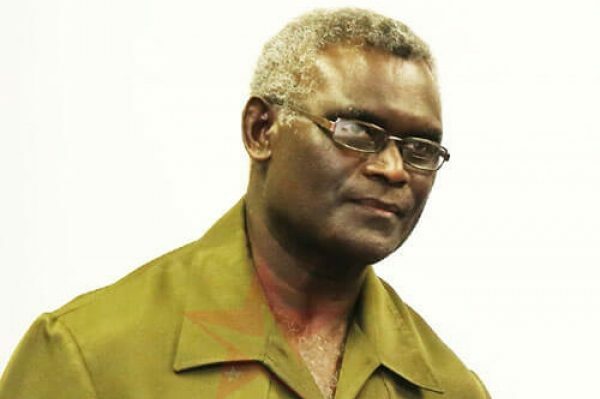 Deputy Prime Minister (DPM) Manasseh Sogavare has questioned the true spirit of the members within the Melanesian Spearhead Group (MSG), by stating that non-granting of the 5th Freedom Right by Fiji to Solomon Islands is an issue. DPM said this strong desire by Solomon Islands to enjoy fifth freedom rights, through direct flights to and from countries in other parts of the world has been denied by Fiji, although negotiation made through the MSG. He said Fiji continues to refuse to give Solomon Islands the fifth freedom right to access direct flights to other countries which raised the question whether thy are true brothers under MSG. 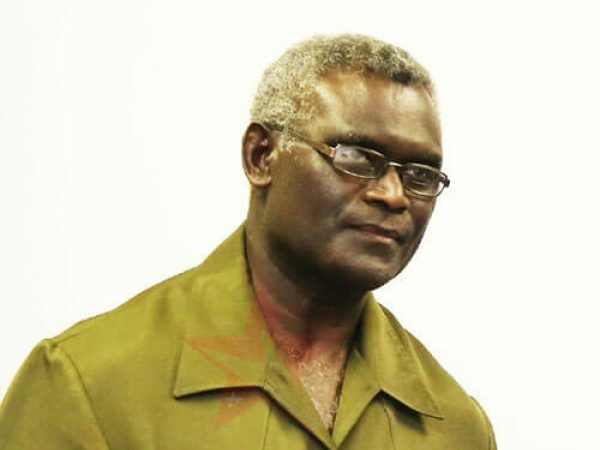 Sogavare told Parliament last week that Fiji continue to enjoy direct flights to America and Asia but refuse to give Solomon Islands the fifth freedom right, though attempts have been made under MSG. The fifth freedom right allows an airline to carry revenue traffic between foreign countries as a part of services connecting the airline’s own country. It is the right to carry passengers from one’s own country to a second country and from that country to a third country and so on. “We still negotiate fifth freedom right under Melanesian brotherhood but Fiji have routes to LA and other parts of the world which we don’t have that freedom,” said the former Prime Minister. “So are we true brothers under MSG?” he questioned. He raised the issue of fifth freedom right as an example of some member countries within MSG who are not genuine in their heart as Melanesian brothers. Mr Sogavare said such treatment is obvious in the application by the United Liberation Movement for West Papua (ULMWP) to become a full member in MSG. The Chiefs Day celebration on March 5, 2018 at Ohlen Matakeru Mataso Island Community in Port Vila was reported to be a success. The day began with a forum in the morning run by a member of the Port Vila Town Council of Chiefs on the role of a chief inside a community and the duties of a chief. The theme of the Chiefs Day celebration was: “A chief has a huge responsibility in the community”, the subject of which was discussed in the forum attended by the chiefs of Matakeru and those of other island communities around Ohlen Matakeru. These chiefs from the other communities and their people also participated in the celebration at Ohlen Matakeru. The main program began in the afternoon attended by the chiefs and their people and Member of Parliament for Port Vila who himself comes from the Shepherds Group, Kalo Seule, with the opening led by the Covenant Church Choir, which led the people to the main nasara with singing. Chairman of Ohlen Matakeru community, Peter Tarisong, began the speeches with a welcome to everyone attending. His was followed by speeches from the chiefs five nasaras of Ohlen Matakeru representing the nasaras of Mataso Island. Chairman Tarisong said the chiefs of the other islands also shared their thoughts on the role of the chiefs in a community. And the main speech for the day was given by MP Kalo Seule. The chiefs cut a cake for the day and then joined in a kava ceremony followed by dinner for everyone at night with a program enjoyed by women and children until closing at 9 pm. Nukuʻalofa, Jubi – Menteri Pasifik Selandia Baru, Apito William Sio menyampaikan Kiribati dan Tuvalu bagaikan burung kenari di tambang batu bara yang akan memicu alarm pertama dampak perubahan iklim. Menteri Sio menyebutkan dua negara di Kepulauan Pasifik tersebut, sebagai contoh utama kampanye pendidikannya tentang perubahan iklim, ketika dia dan partainya masih berada di blok oposisi. Sio menuturkan bahwa setiap orang memiliki tingkat pengetahuan dan pendapat yang berbeda mengenai isu perubahan iklim. Ia mengaku pernah mengunjungi Tuvalu dan Kiribati pada 2016. Sejak saat itu ia menunjukkan video-video yang direkamnya, untuk menggambarkan dampak perubahan iklim di dua kelompok kepulauan tersebut, serta masyarakatnya sebagai bagian utama dari kampanye pendidikan yang dijalankannya. Video-video itu menampilkan masyarakat lokal yang membahas tentang perubahan iklim dan bagaimana perubahan iklim mempengaruhi kehidupan mereka. Polusi air tanah menyebabkan air tidak lagi bersih, dan menimbulkan wabah penyakit diare, pun penyakit lainnya yang ditularkan melalui air, sehingga meningkatkan angka kematian anak-anak. Kedua negara kepulauan itu juga menghadapi masalah yang berkelanjutan dalam pengelolaan limbah, ketahanan pangan, pertumbuhan populasi, dan ketergantungan pada barang-barang impor. 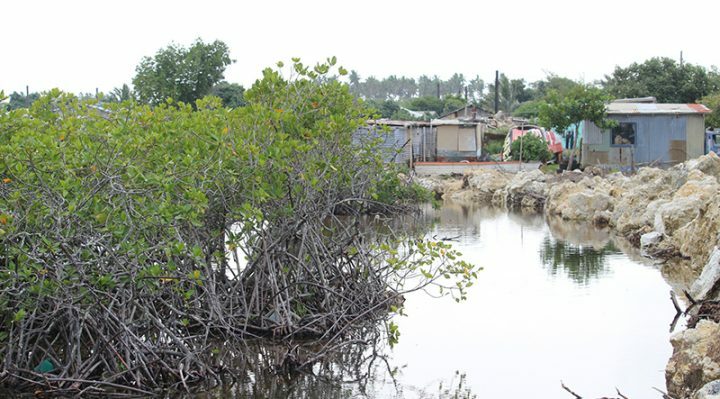 Di Kiribati, pemerintah membangun tembok laut yang terbuat dari batu yang diimpor dari Fiji, sementara di Tuvalu mereka mereklamasi pinggiran laut. Penanaman mangrove di pinggiran pantai sepanjang garis laut, juga merupakan bagian dari pertahanan negara kepulauan tersebut. “Ini tentang anak-anak kita,” tegas Sio.